Can you see that bright light up ahead Babyologists? That’s the sun, people – it’s almost spring, and that means it’s the perfect time to freshen up your home (yes, it is possible even with kids!). But there are a few things you need to keep in mind when redecorating so your home stays family friendly and welcoming. When it comes to the interior of the house, that means starting with the floor and walls. Think of them as the anchors that underpin each room – so choose wisely! Invest in great quality flooring and paint, because these are the things that need to last. Soft furnishings can be changed at a whim, but carpet needs to be well thought-out. You need to look at texture and colour, obviously. Think about whether you want to go bold, with a strong statement colour like charcoal (which is great when you have kids!). Or you can go neutral with more subtle, pale choice – and believe it or not, you can still do this with kids. Go for something like Godfrey Hirst eco+ carpet which has brilliant stain protection. If the kids do happen to spill something, cold water will get it out quick sticks. Now that you’ve settled on the backdrop, have a think about each room and the ‘feel’ that you’re aiming for. Remember, your home is your sanctuary, and for your children their rooms are spaces where they can explore, play and rest. This should be a restful haven – think luxe, soft throws, muted colours and cushions. The current Scandi trend is perfect for bedrooms, as it lends itself to layering with textures like natural fibres, while maintaining strong lines through the use of timber. If you’ve got a baby bunking with you, there’s even more of an incentive to make the space as calming as possible. Soft carpet will create a sense of warmth both literally and figuratively, and provide the perfect cushioning for late night feeds. This tends to become one of the main hubs in a family home. It often doubles as a playroom and entertainment space. Think about smart storage that will keep the kids’ playthings tidy, but easily accessible. If you want to go bold with colour, this is the perfect place to do it. Keep it lively with colourful throws and cushions, vibrant rugs and your children’s artwork adorning the walls. If you’re looking to give the kids’ rooms a revamp, and they’re old enough, get them involved. Allow them to inject some personality into their space, and you’ll find they’ll want to spend more time in there! For babies, keeping the walls and floor neutral in tone will allow you to add an accent colour by simply using soft furnishings. Think about your home, and who uses it. 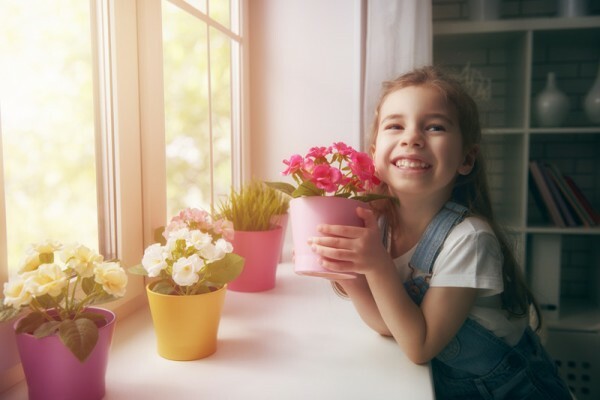 If you have children and pets indoors, these will be a large factor in determining how you redecorate your home. 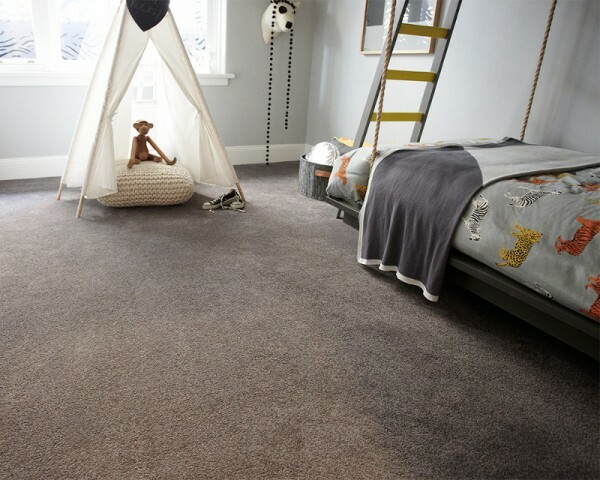 Go for carpet that is pet and child friendly (read: easy to clean!) – there are even carpets with a lifetime pet guarantee. You may want to think about sourcing products that are not only functional for your home, but for the environment – as a bonus these tend to be better for your home. There are so many incredible decorator pieces made from sustainable sources, and essentials that are Australian made. It makes sense to work with the current style and colour trends, as it will be easier to source decorator items that will complement your home. Marble everything people. But there’s no need to blow the budget on a huge slab, just use it as an accent. Think marble chopping blocks, clocks or candle holders. Black stainless steel is bang on trend at the moment – and it’s an absolute winner for families with little ones! Those sticky fingers won’t be any match for a beautiful black fridge! Yep, this is a tough trend to follow in a family home, but invest in quality wall paint that has easy-clean properties and you’ll be right as rain. Give spaces a lift using your children’s artwork. Brass and rose gold have emerged as front runners this year and they look amazing in a nursery. Just grab a comfy metallic-inspired cushion and you’re set! Bringing the indoors in has never been hotter. And if you’re not a green-thumb, even fake plants are making a comeback! Remember above everything else, when you’re redecorating your home, you need to make it liveable. Use great quality, easy-clean products for the big ticket items (carpets and paints), and then go with what works for your family with your decor. Keep it fun and fabulous as we head into spring!